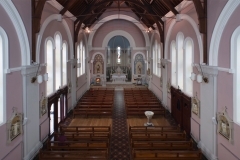 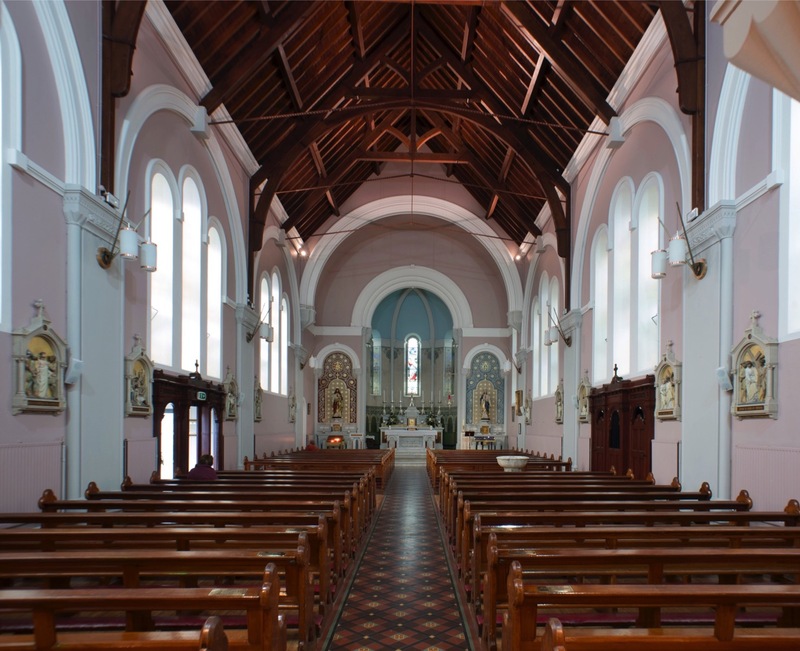 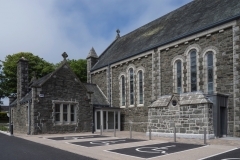 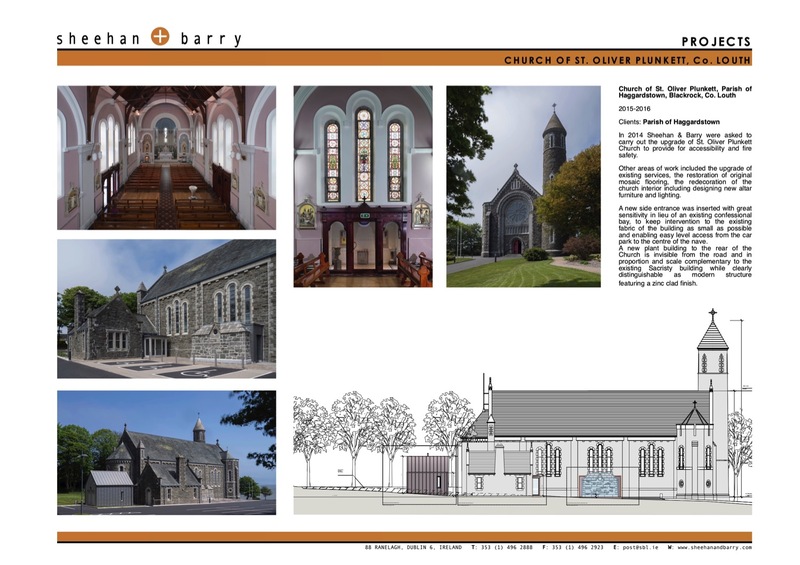 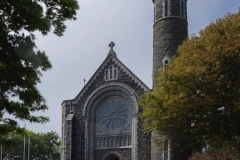 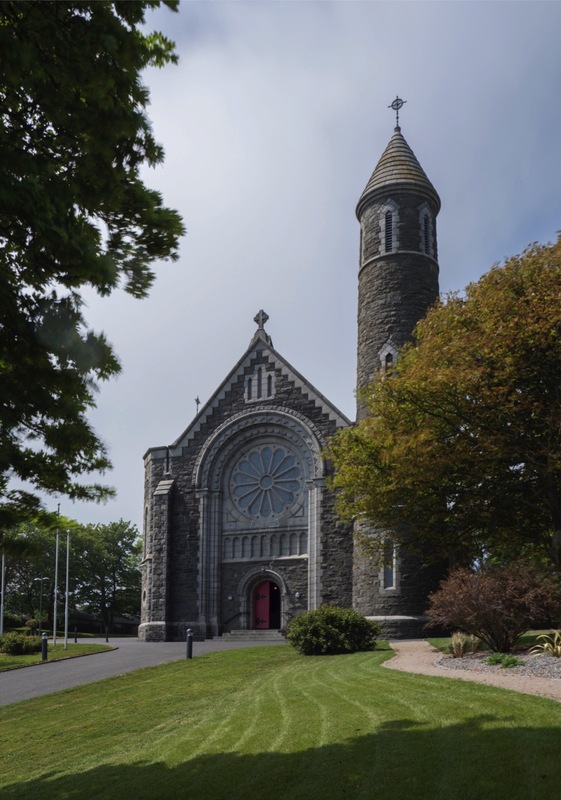 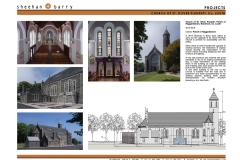 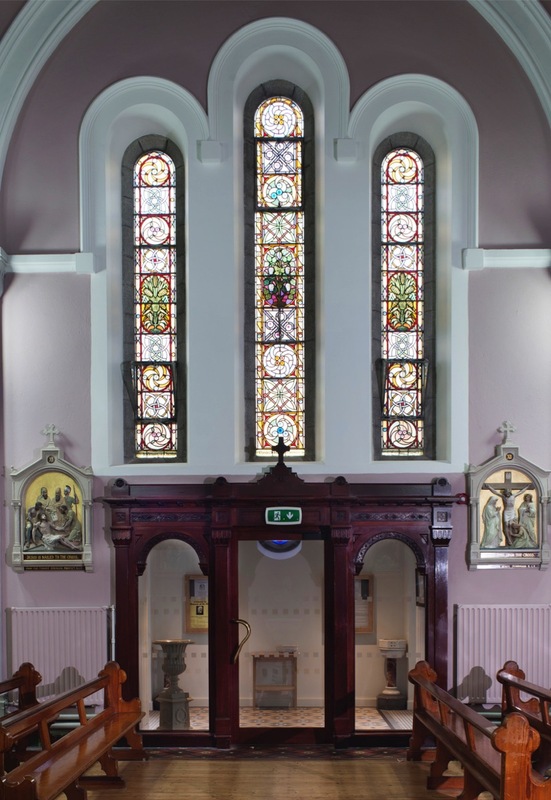 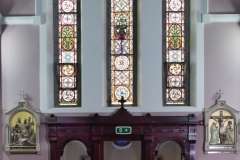 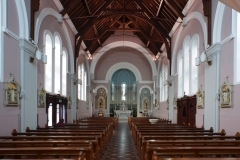 In 2014 Sheehan & Barry were asked to carry out the upgrade of the church of St. Oliver Plunkett (a protected structure) to provide for accessibility and fire safety. 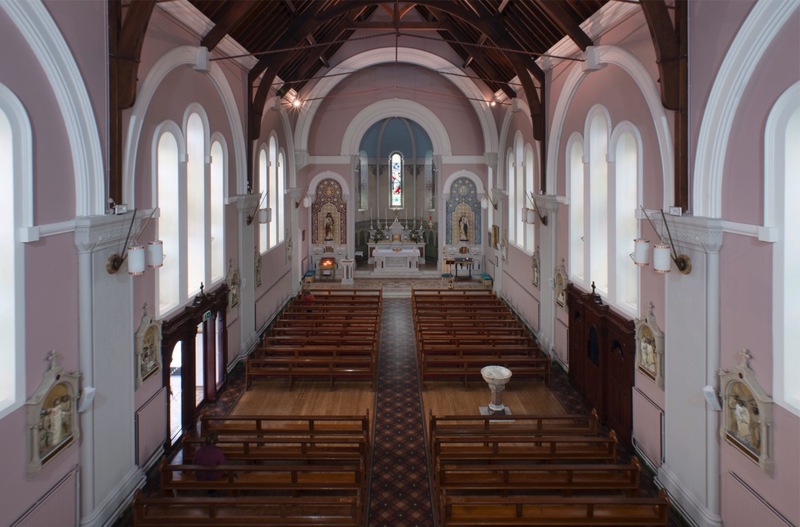 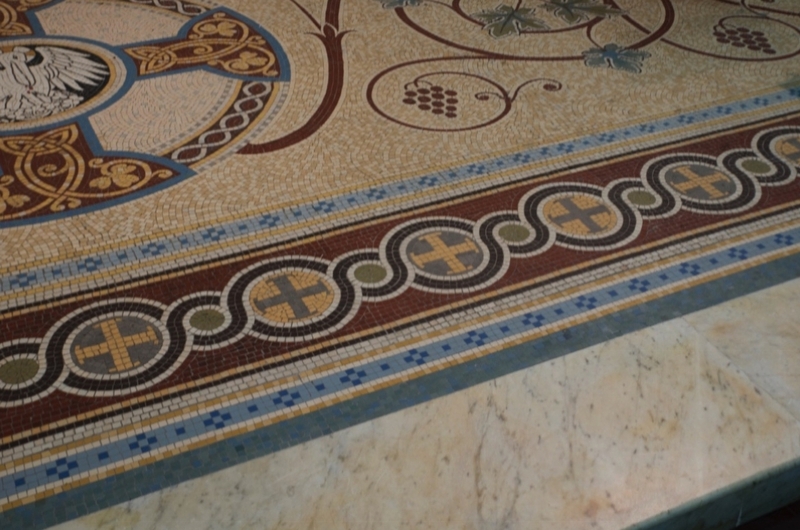 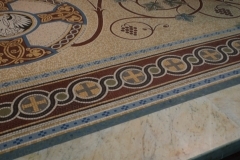 Other areas of work included the upgrade of existing services, the restoration of original mosaic flooring, the redecoration of the church interior including designing new altar furniture and lighting. 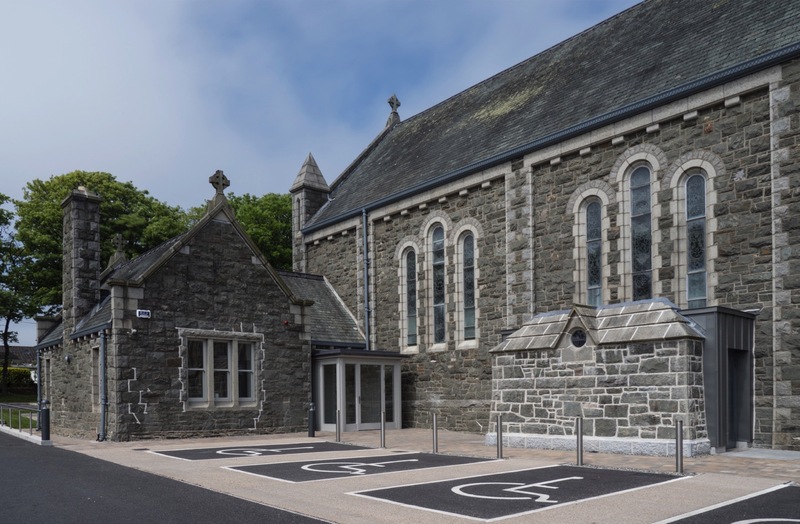 A new side entrance was inserted with great sensitivity in lieu of an existing confessional bay, to minimise intervention to the existing fabric of the building (a protected structure) whilst enabling easy level access from the car park to the centre of the nave. 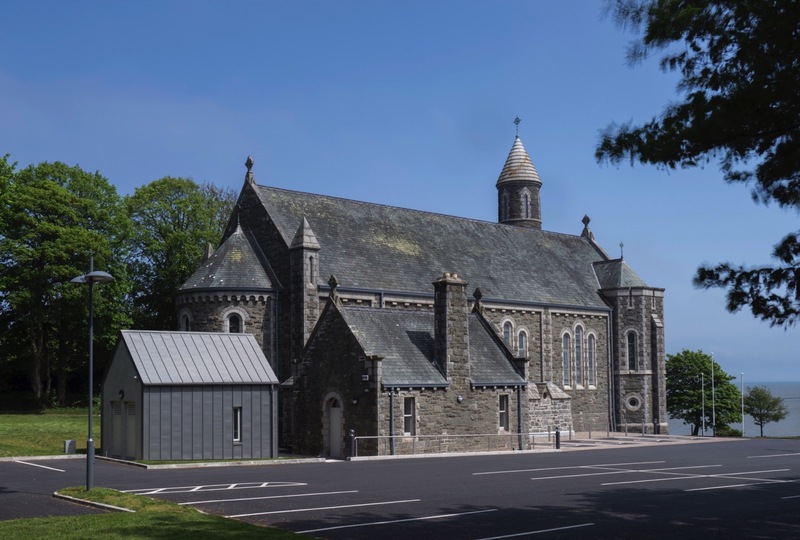 A new service building to the rear of the church is concealed from the road and in proportion and scale complementary to the existing Sacristy building while clearly distinguishable as a contemporary intervention, featuring a zinc clad finish.